My recent schedule has taken me away from the deep depths of eBay polices and events. This can be a good thing... Anytime one can take a step back and look at life and business from a different perspective, I believe they should seize the opportunity. My most recent sojourn into the world outside of eBay took me to the very interesting, yet almost unknown, industry of automotive recycling. Yes, I know... most of us non-recyclers call it by a different name and frankly we rarely think about the positive impact on our environment and economy that auto recycling, or what we call "Junkyards" (bad word inside the industry) has in America. At first I did not "get" why the term "Junkyards" was considered not-PC (Politically Correct), but after attending the 65th annual Automotive Recyclers Association convention and expo in Kansas City, Missouri, I have a much better understanding. Automotive recycling as an industry has come a long way in technology, in standards and most importantly in environmental protection since this national organization was formed in 1943. From systems designed to extract every ounce of fluid from a wrecked vehicle to machines which automatically extract copper from the miles of wires in every car while saving the plastic insulation for re-use, the technology changes have been enormous. I personally was amazed at the live demonstrations held at Midway Auto Parts in Kansas City on chilly evening during the exposition. The yard was clean and extraordinarily well organized, all of the wrecked vehicles had been sorted and were laid out in various stages of the recycling process. No huge stacks of rusty hulks in this yard, most all of the cars I saw represented recent model years, they even had a used car lot in the front of the operation with some very clean looking late model automobiles. This place looked more like a new car dealership than what previously ill-informed outsiders like myself might have called it. This was a recycling facility, not a "Junk yard"
I have to agree with the new terminology, there was no presence of "Junk" here. This was pure recycling, down to the last ounce of steel. I was told this is not uncommon in the new era of auto recycling. It seems that with the right combination of technology and training more of an automobile or truck can be recycled than ever before. The industry as a whole has seen, both from a profit and from the environmental impact perspective, modernizing is the only way to excel. By now my regular readers are wondering where eBay enters into all of this? I was invited to this convention by a client who also happens to be an eBay Powerseller. The eBay connection starts with Taia Cesana of East Coast Auto Salvage. Taia hired my company iBusinessLogic to build a new website for their family owned auto recycling facility in Higganum, Connecticut. I met Taia at the Channel Adviser Catalyst conference in North Carolina. We have worked together on a plan to upgrade both East Coast's eBay sales operations and their website since Catalyst. Taia and her dad Bill are very active members of both the ARA and CAR (Connecticut Auto Recyclers Association)associations. iBusinessLogic is now building a new website for CAR as a direct result of our work on the East Coast site. Taia and Bill of East Coast Auto Salvage believe in finding the best solutions for industry challenges. One of the challenges in the auto recycling industry is perception. The best way to combat problems with perception is with information. Today's information leader is the Internet and building an information rich website is no longer a luxury for any business, it is a necessity. Many of the websites auto recycling yards present to the public are developed by the industry leading inventory solutions providers. These include Hollander, Car-Parts.com and Inventory Technology Systems among others. The original East Coast Auto Salvage site was provided by ITS. Taia Cesana wanted to provide a more modern look and offer much more information on the East Coast Auto Salvage website than a parts search and location engine. Yet without the parts location and inventory searches provided by ITS and Car-Part, her website would not hold much value to her customers. We solved the problem by simply taking the information served by ITS and inserting it within the new website and we also added an important feature by importing all of the East Coast Auto Salvage's eBay listings directly into their new website. The new website we developed for East Coast Auto Salvage is designed to not only provide easy access to parts information but also give the public a more comprehensive view of their business in an attractive and straightforward package. I am very honored Taia and Bill thought enough of the job we did for them to ask us to share our ideas with the rest of the industry. I did not expect to find much eBay related news at an Auto Recycling exposition. 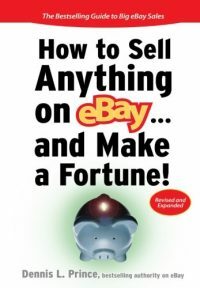 In fact, it seemed when I mentioned eBay to any of the attendees or exhibitors on the expo floor, the tone of the conversations almost immediately became suspicious. I was not selling eBay, I simply was asking how or if any of these businesses were integrating eBay as a sales venue for the massive amount of used automotive, truck and motorcycle parts they had on hand. The overall impression seemed to be that eBay was a mysterious and unknown quantity. These business people, all of whom seem to be looking at Internet sales and ecommerce in a new light, were not really sure if eBay could help them sell parts. As an Industry, I would say that Auto Recyclers could use eBay to a great advantage, if they could just figure out how. To be honest, many of these cutting edge (in their industry) business people have not yet totally grasped the power of Internet marketing. Most auto recycling yard websites provide simple location information and a parts location search with very little or no additional information or ecommerce capabilities. This is a missed marketing opportunity on a massive scale. It seems that I am not the only person at the exposition who believes eBay could help auto recyclers move used auto parts. Terry Lindell of Inventory Technology Systems announced what could be an incredible tool for auto recyclers worldwide in a presentation explaining his new VINterchange inventory system. VINterchange aims to turn the auto recycling inventory process upside down (or right-side up - depending on your point of view) with a new way to automatically evaluate and inventory the parts from wrecked vehicles. It is a long story but it seems that the auto recyclers and the auto industry have been working with two entirely different numbering systems and ways of inventorying parts. The VINterchange system is designed to bring the auto recycling industry more in line with OEM manufactures VIN system, providing actual OEM part numbers to the public. The presentation was jam packed full of information, I will say that as an industry outsider, the new system seemed to make incredible sense from the perspective of an Internet marketer such as myself. When these recycling yards provide OEM auto part numbers to the public, on the Internet, finding the parts will become much easier for the consumer. Selling those same parts to the world via the Internet will become a vital part of every recyclers business. My ears really perked up When Terry Lindell transitioned into the eBay portion of his presentation. I have not seen how it works, but apparently ITS's VINterchange system has the capability of automatically populating eBay listings with all of the OEM parts information needed to sell these parts to the public in a fast and efficient manner. This could revolutionize the used auto parts industry on eBay motors. I have a net meeting scheduled with ITS to get a first hand look at how this new system will handle uploading parts data to eBay, to tell the truth I am very excited about the possibilities. I know first hand from East Coast Auto Salvage that these parts move well on eBay yet the time it takes to process the eBay listings is a pain point for Taia Cesana at East Coast. If ITS has come up with a solution which not only catalogs all of the profitable parts from a wrecked vehicle and assigns those parts the proper OEM part numbers but can also feed eBay and/or eCommerce that same catalog of inventory, I think the used auto parts business will find a much easier path to ecommerce than ever before. 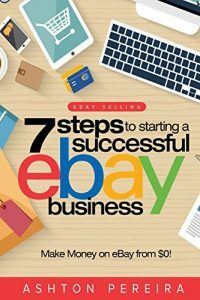 eBay still suffers a problem of perception, in that it is a painful process to utilize eBay as a sales venue, from established industries such as auto recycling. It all starts with information and the proper aggregation and display of that information for both eBay and outside industries like auto recycling. If the auto recycling industry continues to develop methods of standardizing information the industry and consumers will both win. In effect parts will become worth more than the price of steel and consumers will buy those parts when they have a clear path to finding them on either Google or eBay. Fascinating and informative article about a subject I had never given much thought to before. 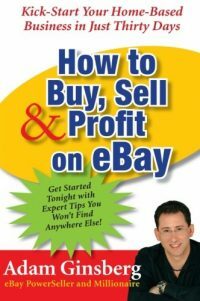 Why would these businesses want to go to eBay with all its attendant problems, limitations and expense? Surely with the right website, SEO and some advertising they would do just as well independently? Auto Parts is a very different category on eBay than collectibles and antiques. It is a hot category and is one of the few growing segments of eBay. Yes, of course but many of these recycling facilities are not at the point of creating their own ecommerce sites yet. The complexity of the inventory is a huge hurdle to get over. It is exciting to know that someone is attacking the problem and that they are mindful that eBay is still a very strong option for used auto parts merchandising.